IQ scores have been derived by two different methods since the advent of cognitive ability tests. The first method historically was the "ratio IQ", based on estimating a "mental age" of the test-taker (rounded to a specified number of years and months), which was then divided by the test-taker's "chronological age" (rounded to a specified number of years and months). For example, a mental age score of thirteen years and zero months for a test-taker with the chronological age ten years and zero months results in a quotient of 1.3 after doing the division. The division result was then multiplied by 100 so that scores could be reported without decimal points. Thus the score in the example would be reported as IQ 130 . The current scoring method for all IQ tests is the "deviation IQ". In this method, an IQ score of 100 means that the test-taker's performance on the test is at the median level of performance in the sample of test-takers of about the same age used to norm the test. An IQ score of 115 means performance one standard deviation above the median, a score of 85 performance one standard deviation below the median, and so on. Lewis Terman and other early developers of IQ tests noticed that most child IQ scores come out to approximately the same number by either procedure. Deviation IQs are now used for standard scoring of all IQ tests in large part because they allow a consistent definition of IQ for both children and adults. By the current "deviation IQ" definition of IQ test standard scores, about two-thirds of all test-takers obtain scores from 85 to 115, and about 5 percent of the population scores above 125. All IQ tests show variation in scores even when the same person takes the same test over and over again. IQ scores also differ for a test-taker taking tests from more than one publisher at the same age. The various test publishers do not use uniform names or definitions for IQ score classifications. All these issues must be kept in mind when interpreting an individual's IQ scores, because they all can result in different IQ classifications for the same person at different times. Q tests generally are reliable enough that most people ages ten and older have similar IQ scores throughout life. Still, some individuals score very differently when taking the same test at different times or when taking more than one kind of IQ test at the same age. For example, many children in the famous longitudinal Genetic Studies of Genius begun in 1921 by Lewis Terman showed declines in IQ as they grew up. Terman recruited school pupils based on referrals from teachers, and gave them his Stanford–Binet IQ test. Children with an IQ above 140 by that test were included in the study. There were 643 children in the main study group. When the students who could be contacted again (503 students) were retested at high school age, they were found to have dropped 9 IQ points on average in Stanford–Binet IQ. More than two dozen children dropped by 15 IQ points and six by 25 points or more. Yet parents of those children thought that the children were still as bright as ever, or even brighter. The Differential Ability Scales Second Edition (DAS–II) was developed by Colin D. Elliott and published in 2007 by Psychological Corporation. The DAS-II is a test battery given individually to children, normed for children from ages two years and six months through seventeen years and eleven months. It was normed on 3,480 noninstitutionalized, English-speaking children in that age range. The DAS-II yields a General Conceptual Ability (GCA) score scaled like an IQ score with the median standard score set at 100 and 15 standard score points for each standard deviation up or down from the median. The lowest possible GCA on the is DAS–II is 44, and the highest is 175. In current medical diagnosis, IQ scores alone are not conclusive for a finding of intellectual disability. Recently adopted diagnostic standards place the major emphasis on adaptive behavior of each individual, with IQ score just being one factor in diagnosis in addition to adaptive behavior scales, and no category of intellectual disability being defined primarily by IQ scores. Psychologists point out that evidence from IQ testing should always be used with other assessment evidence in mind: "In the end, any and all interpretations of test performance gain diagnostic meaning when they are corroborated by other data sources and when they are empirically or logically related to the area or areas of difficulty specified in the referral." In the United States, a holding by the Supreme Court in the case Atkins v. Virginia, 536 U.S. 304 (2002) bars states from imposing capital punishment on persons with mental retardation, defined in subsequent cases as persons with IQ scores below 70. This legal standard continues to be actively litigated in capital cases. 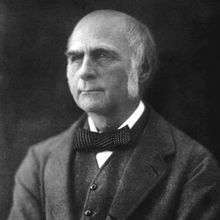 Francis Galton (1822–1911) was a pioneer in investigating both eminent human achievement and mental testing. In his book Hereditary Genius, writing before the development of IQ testing, he proposed that hereditary influences on eminent achievement are strong, and that eminence is rare in the general population. Lewis Terman chose "'near' genius or genius" as the classification label for the highest classification on his 1916 version of the Stanford–Binet test. By 1926, Terman began publishing about a longitudinal study of California schoolchildren who were referred for IQ testing by their schoolteachers, called Genetic Studies of Genius, which he conducted for the rest of his life. Catherine M. Cox, a colleague of Terman's, wrote a whole book, The Early Mental Traits of 300 Geniuses, published as volume 2 of The Genetic Studies of Genius book series, in which she analyzed biographical data about historic geniuses. Although her estimates of childhood IQ scores of historical figures who never took IQ tests have been criticized on methodological grounds, Cox's study was thorough in finding out what else matters besides IQ in becoming a genius. By the 1937 second revision of the Stanford–Binet test, Terman no longer used the term "genius" as an IQ classification, nor has any subsequent IQ test. In 1939, Wechsler specifically commented that "we are rather hesitant about calling a person a genius on the basis of a single intelligence test score." The Terman longitudinal study in California eventually provided historical evidence on how genius is related to IQ scores. Many California pupils were recommended for the study by schoolteachers. Two pupils who were tested but rejected for inclusion in the study because of IQ scores too low for the study grew up to be Nobel Prize winners in physics, William Shockley, and Luis Walter Alvarez. Based on the historical findings of the Terman study and on biographical examples such as Richard Feynman, who had an IQ of 125 and went on to win the Nobel Prize in physics and become widely known as a genius, the current view of psychologists and other scholars of genius is that a minimum level of IQ, no lower than about IQ 125, is strictly necessary for genius; but that level of IQ is sufficient for development of genius only when combined with the other influences identified by Cox's biographical study: opportunity for talent development along with the characteristics of drive and persistence. Charles Spearman, bearing in mind the influential theory that he originated of conceiving intelligence as made up of a "general factor" as well as "special factors" more specific to particular mental tasks, may have summed up the research the best when he wrote in 1927, "Every normal man, woman, and child is, then, a genius at something, as well as an idiot at something." A major point of consensus among all scholars of intellectual giftedness is that there is no generally agreed definition of giftedness. Although there is no scholarly agreement about identifying gifted learners, there is a de-facto reliance on IQ scores for identifying participants in school gifted education programs. In practice, many school districts in the United States use an IQ score of 130, including about the upper 2 or 3 percent of the national population, as a cut-off score for inclusion in school gifted programs. As long ago as 1937, Lewis Terman pointed out that error of estimation in IQ scoring increases as IQ score increases, so that there is less and less certainty about assigning a test-taker to one band of scores or another as one looks at higher bands. Current IQ tests also have large error bands for high IQ scores. As an underlying reality, such distinctions as those between "exceptionally gifted" and "profoundly gifted" have never been well established. All longitudinal studies of IQ have shown that test-takers can bounce up and down in score, and thus switch up and down in rank order as compared to one another, over the course of childhood. Some test-givers claim that IQ classification categories such as "profoundly gifted" are meaningful, but those are based on the obsolete Stanford–Binet Third Revision (Form L-M) test. The highest reported standard score for most IQ tests is IQ 160, approximately the 99.997th percentile (leaving aside the issue of the considerable error in measurement at that level of IQ on any IQ test). IQ scores above this level are dubious as there are insufficient normative cases upon which to base a statistically justified rank-ordering. Moreover there has never been any validation of the Stanford–Binet L-M on adult populations, and there is no trace of such terminology in the writings of Lewis Terman. Although two current tests attempt to provide "extended norms" that allow for classification of different levels of giftedness, those norms are not based on well validated data. ↑ Gregory 1995, entry "Classification of Intelligence"
1 2 3 Kamphaus 2005, pp. 518–20 section "Score Classification Schemes"
↑ Hunt 2011, p. 5 "As mental testing expanded to the evaluation of adolescents and adults, however, there was a need for a measure of intelligence that did not depend upon mental age. Accordingly the intelligence quotient (IQ) was developed. ... The narrow definition of IQ is a score on an intelligence test ... where 'average' intelligence, that is the median level of performance on an intelligence test, receives a score of 100, and other scores are assigned so that the scores are distributed normally about 100, with a standard deviation of 15. Some of the implications are that: 1. Approximately two-thirds of all scores lie between 85 and 115. 2. Five percent (1/20) of all scores are above 125, and one percent (1/100) are above 135. Similarly, five percent are below 75 and one percent below 65." 1 2 Terman 1916, p. 79 "What do the above IQ's imply in such terms as feeble-mindedness, border-line intelligence, dullness, normality, superior intelligence, genius, etc.? When we use these terms two facts must be born in mind: (1) That the boundary lines between such groups are absolutely arbitrary, a matter of definition only; and (2) that the individuals comprising one of the groups do not make up a homogeneous type." 1 2 Wechsler 1939, p. 37 "The earliest classifications of intelligence were very rough ones. To a large extent they were practical attempts to define various patterns of behavior in medical-legal terms." ↑ Anastasi & Urbina 1997, p. 326 "Correlation studies of test scores provide actuarial data, applicable to group predictions. ... Studies of individuals, on the other hand, may reveal large upward or downward shifts in test scores." ↑ Kaufman 2009, pp. 151–153 "Thus, even for tests that measure similar CHC constructs and that represent the most sophisticated, high-quality IQ tests ever available at any point in time, IQs differ." ↑ Kaufman 2013, Figure 3.1 "Source: A. S. Kaufman. IQ Testing 101 (New York: Springer, 2009). Adapted with permission." ↑ Mackintosh 2011, p. 169 "after the age of 8–10, IQ scores remain relatively stable: the correlation between IQ scores from age 8 to 18 and IQ at age 40 is over 0.70." ↑ Uzieblo et al. 2012, p. 34 "Despite the increasing disparity between total test scores across intelligence batteries—as the expanding factor structures cover an increasing amount of cognitive abilities (Flanagan, et al., 2010)—Floyd et al. (2008) noted that still 25% of assessed individuals will obtain a 10-point IQ score difference with another IQ battery. Even though not all studies indicate significant discrepancies between intelligence batteries at the group level (e.g., Thompson et al., 1997), the absence of differences at the individual level cannot be automatically assumed." ↑ Shurkin 1992, pp. 89–90 (citing Burks, Jensen & Terman, The Promise of Youth: Follow-up Studies of a Thousand Gifted Children 1930) "Twelve even dropped below the minimum for the Terman study, and one girl fell below 104, barely above average for the general population. ... Interestingly, while his tests measured decreases in test scores, the parents of the children noted no changes at all. Of all the parents who filled out the home questionnaire, 45 percent perceived no change in their children; 54 percent thought their children were getting brighter, including the children whose scores actually dropped." ↑ Sattler 2008, p. 121 "Whenever you report an overall standard score (e.g., a Full Scale IQ or a similar standard score), accompany it with a confidence interval (see Chapter 4). The confidence interval is a function of both the standard error of measurement and the confidence level: the greater the confidence level (e.g., 99% > 95% > 90% > 85% > 68%) or the lower the reliablility of the test (rxx = .80 < rxx = .85 < rxx = .90), the wider the confidence interval. Psychologists usually use a confidence interval of 95%." ↑ Kaufman & Lichtenberger 2006, pp. 198–202 (section "Scoring Errors") "Bias errors were in the direction of leniency for all subtests, with Comprehension producing the strongest halo effect." ↑ Sattler 2001, p. 698 "Tests usually provide some system by which to classify scores. Follow the specified classification system strictly, labeling scores according to what is recommended in the test manual. If you believe that a classification does not accurately reflect the examinee's status, state your concern in the report when you discuss the reliability and validity of the findings." ↑ Gottfredson 2009, p. 32 "One searches in vain, for instance, for a good accounting of the capabilities that 10-year-olds, 15-year-olds, or adults of 110 usually possess but similarly aged individuals of IQ 90 do not ... IQ tests are not intended to isolate and measure highly specific skills and knowledge. This is the job of suitably designed achievement tests." ↑ Mackintosh 2011, p. 32 "The most widely used individual IQ tests today are the Wechsler tests, first published in 1939 as the Wechsler–Bellevue Scale." ↑ Georgas et al. 2003, p. xxv "The Wechsler tests are perhaps the most widely used intelligence tests in the world"
↑ Kamphaus 2005, p. 519 "Although the Wechsler classification system for intelligence test scores is by far the most popular, it may not be the most appropriate (Reynolds & Kaufman 1990)." ↑ Wasserman 2012, p. 19 "No foreign-born or minority children were included. ... The overall sample was predominantly white, urban, and middle-class"
↑ Naglieri 1999, p. 7 "The concept of general intelligence was assumed to exist, and psychologists went about 'the measurement of an individual's general ability without waiting for an adequate psychological definition.' (Pintner, 1923, p. 52)." ↑ Wasserman 2012, p. 35 "Inexplicably, Terman and Merrill made the mistake of retaining a ratio IQ (i.e., mental age/chronological age) on the 1937 Stanford–Binet, even though the method had long been recognized as producing distorted IQ estimates for adolescents and adults (e.g., Otis, 1917). Terman and Merrill (1937, pp. 27–28) justified their decision on the dubious ground that it would have been too difficult to reeducate teachers and other test users familiar with ratio IQ." ↑ Wasserman 2012, p. 35 "The 1939 test battery (and all subsequent Wechsler intelligence scales) also offered a deviation IQ, the index of intelligence based on statistical difference from the normative mean in standardized units, as Arthur Otis (1917) had proposed. Wechsler deserves credit for popularizing the deviation IQ, although the Otis Self-Administering Tests and the Otis Group Intelligence Scale had already used similar deviation-based composite scores in the 1920s." ↑ Wechsler 1939, pp. 39–40 "We have seen equivalent Binet I.Q. ratings reported for nearly every intelligence test now in use. In most cases the reporters proceeded to interpret the I.Q. 's obtained as if the tests measured the same thing as the Binet, and the indices calculated were equivalent to those obtained on the Stanford–Binet. ... The examiners were seemingly unaware of the fact that identical I.Q. 's on the different tests might well represent very different orders of intelligence." ↑ Wechsler 1958, pp. 42–43 "In brief, mental age is no more an absolute measure of intelligence than any other test score." ↑ Freides 1972, pp. 772–773 "My comments in 1970 [published in 1972] are not very different from those made by F. L. Wells 32 years ago in The 1938 Mental Measurements Yearbook. The Binet scales have been around for a long time and their faults are well known." ↑ Naglieri 1999, p. 7 "In fact, the stagnation of intelligence tests is apparent in Brody's (1992) statement: 'I do not believe that our intellectual progress has had a major impact on the development of tests of intelligence' (p. 355)." ↑ American Psychiatric Association 2013, pp. 33–37 Intellectual Disability (Intellectual Development Disorder): Specifiers "The various levels of severity are defined on the basis of adaptive functioning, and not IQ scores, because it is adaptive functioning that determines the level of supports required. Moreover, IQ measures are less valid in the lower end of the IQ range." ↑ Pintner 1931, pp. 356–357 "From a study of these boyhood records, estimates of the probable I.Q.s of these men in childhood have been made. ... It is of course obvious that much error may creep into an experiment of this sort, and the I.Q. assigned to any one individual is merely a rough estimate, depending to some extent upon how much information about his boyhood years has come down to us." ↑ Shurkin 1992, pp. 70–71 "She, of course, was not measuring IQ; she was measuring the length of biographies in a book. Generally, the more information, the higher the IQ. Subjects were dragged down if there was little information about their early lives." ↑ Eysenck 1995, p. 59 "Cox might well have been advised to reject a few of her geniuses for lack of evidence." Eysenck 1998, p. 126 "Cox found that the more was known about a person's youthful accomplishments, that is, what he had done before he was engaged in doing the things that made him known as a genius, the higher was his IQ ... So she proceeded to make a statistical correction in each case for lack of knowledge; this bumped up the figure considerably for the geniuses about whom little was in fact known. ... I am rather doubtful about the justification for making the correction." ↑ Eysenck 1998, pp. 127–128 "Terman, who originated those 'Genetic Studies of Genius', as he called them, selected ... children on the basis of their high IQs; the mean was 151 for both sexes. Seventy-seven who were tested with the newly translated and standardized Binet test had IQs of 170 or higher—well at or above the level of Cox's geniuses. What happened to these potential geniuses—did they revolutionize society? ... The answer in brief is that they did very well in terms of achievement, but none reached the Nobel Prize level, let alone that of genius. ... It seems clear that these data powerfully confirm the suspicion that intelligence is not a sufficient trait for truly creative achievement of the highest grade." ↑ Simonton 1999, p. 4 "When Terman first used the IQ test to select a sample of child geniuses, he unknowingly excluded a special child whose IQ did not make the grade. Yet a few decades later that talent received the Nobel Prize in physics: William Shockley, the cocreator of the transistor. Ironically, not one of the more than 1,500 children who qualified according to his IQ criterion received so high an honor as adults." ↑ Leslie 2000, "We also know that two children who were tested but didn't make the cut -- William Shockley and Luis Alvarez -- went on to win the Nobel Prize in Physics. According to Hastorf, none of the Terman kids ever won a Nobel or Pulitzer." ↑ Park, Lubinski & Benbow 2010, "There were two young boys, Luis Alvarez and William Shockley, who were among the many who took Terman's tests but missed the cutoff score. Despite their exclusion from a study of young 'geniuses,' both went on to study physics, earn PhDs, and win the Nobel prize." ↑ Gleick 2011, p. 32 "Still, his score on the school IQ test was a merely respectable 125." ↑ Robinson 2011, p. 47 "After all, the American physicist Richard Feynman is generally considered an almost archetypal late 20th-century genius, not just in the United States but wherever physics is studied. Yet, Feynman's school-measured IQ, reported by him as 125, was not especially high"
↑ Cf. Pickover 1998, p. 224 (quoting Syed Jan Abas) "High IQ is not genius. A person with a high IQ may or may not be a genius. A genius may or may not have a high IQ." ↑ Terman & Merrill 1937, p. 44 "The reader should not lose sight of the fact that a test with even a high reliability yields scores which have an appreciable probable error. The probable error in terms of mental age is of course larger with older than with young children because of the increasing spread of mental age as we go from younger to older groups. For this reason it has been customary to express the P.E. [probable error] of a Binet score in terms of I.Q., since the spread of Binet I.Q. 's is fairly constant from age to age. However, when our correlation arrays [between Form L and Form M] were plotted for separate age groups they were all discovered to be distinctly fan-shaped. Figure 3 is typical of the arrays at every age level. From Figure 3 it becomes clear that the probable error of an I.Q. score is not a constant amount, but a variable which increases as I.Q. increases. It has frequently been noted in the literature that gifted subjects show greater I.Q. fluctuation than do clinical cases with low I.Q. 's ... we now see that this trend is inherent in the I.Q. technique itself, and might have been predicted on logical grounds." ↑ Lohman & Foley Nicpon 2012, Section "Conditional SEMs" "The concerns associated with SEMs [standard errors of measurement] are actually substantially worse for scores at the extremes of the distribution, especially when scores approach the maximum possible on a test ... when students answer most of the items correctly. In these cases, errors of measurement for scale scores will increase substantially at the extremes of the distribution. Commonly the SEM is from two to four times larger for very high scores than for scores near the mean (Lord, 1980)." ↑ Lohman & Foley Nicpon 2012, Section "Scaling Issues" "The spreading out of scores for young children at the extremes of the ratio IQ scale is viewed as a positive attribute of the SB-LM by clinicians who want to distinguish among the highly and profoundly gifted (Silverman, 2009). Although spreading out the test scores in this way may be helpful, the corresponding normative scores (i.e., IQs) cannot be trusted both because they are based on out-of-date norms and because the spread of IQ scores is a necessary consequence of the way ratio IQs are constructed, not a fact of nature." ↑ Hunt, Earl (2011). Human Intelligence. Cambridge: Cambridge University Press. p. 8. ISBN 978-0-521-70781-7. Lay summary (28 April 2013). ↑ Perleth, Christoph; Schatz, Tanja; Mönks, Franz J. (2000). "Early Identification of High Ability". In Heller, Kurt A.; Mönks, Franz J.; Sternberg, Robert J.; Subotnik, Rena F. International Handbook of Giftedness and Talent (2nd ed.). Amsterdam: Pergamon. p. 301. ISBN 978-0-08-043796-5. norm tables that provide you with such extreme values are constructed on the basis of random extrapolation and smoothing but not on the basis of empirical data of representative samples. ↑ Lohman & Foley Nicpon 2012, Section "Scaling Issues" "Modern tests do not produce such high scores, in spite of heroic efforts to provide extended norms for both the Stanford Binet, Fifth Edition (SB-5) and the WISC-IV (Roid, 2003; Zhu, Clayton, Weiss, & Gabel, 2008)." Aiken, Lewis (1979). Psychological Testing and Assessment (Third ed.). Boston: Allyn and Bacon. ISBN 0-205-06613-5. Campbell, Jonathan M. (2006). "Chapter 3: Mental Retardation/Intellectual Disability". In Campbell, Jonathan M.; Kamphaus, Randy W. Psychodiagnostic Assessment of Children: Dimensional and Categorical Approaches. Hoboken (NJ): Wiley. ISBN 978-0-471-21219-5. Lay summary (21 May 2013). Foote, William E. (2007). "Chapter 17: Evaluations of Individuals for Disability in Insurance and Social Security Contexts". In Jackson, Rebecca. Learning Forensic Assessment. International Perspectives on Forensic Mental Health. New York: Routledge. pp. 449–480. ISBN 978-0-8058-5923-2. Freides, David (1972). "Review of Stanford–Binet Intelligence Scale, Third Revision". In Oscar Buros. Seventh Mental Measurements Yearbook. Highland Park (NJ): Gryphon Press. pp. 772–773. Gallagher, Sherri L.; Sullivan, Amanda L. (2011). "Chapter 30: Kaufman Assessment Battery for Children, Second Edition". In Davis, Andrew. Handbook of Pediatric Neuropsychology. New York: Springer Publishing. pp. 343–352. ISBN 978-0-8261-0629-2. Lay summary (14 July 2013). Georgas, James; Weiss, Lawrence; van de Vijver, Fons; Saklofske, Donald (2003). "Preface". In Georgas, James; Weiss, Lawrence; van de Vijver, Fons; Saklofske, Donald. Culture and Children's Intelligence: Cross-Cultural Analysis of the WISC-III. San Diego (CA): Academic Press. pp. xvx–xxxii. ISBN 978-0-12-280055-9. Lay summary (26 May 2013). Gottfredson, Linda S. (2009). "Chapter 1: Logical Fallacies Used to Dismiss the Evidence on Intelligence Testing". In Phelps, Richard F. Correcting Fallacies about Educational and Psychological Testing. Washington (DC): American Psychological Association. ISBN 978-1-4338-0392-5. Lay summary (9 July 2013). Gregory, Robert J. (1995). "Classification of Intelligence". In Sternberg, Robert J. Encyclopedia of human intelligence. 1. Macmillan. pp. 260–266. ISBN 978-0-02-897407-1. OCLC 29594474. Kamphaus, Randy; Winsor, Ann Pierce; Rowe, Ellen W.; Kim, Songwon (2012). "Chapter 2: A History of Intelligence Test Interpretation". In Flanagan, Dawn P.; Harrison, Patti L. Contemporary Intellectual Assessment: Theories, tests, and issues (Third ed.). New York (NY): Guilford Press. pp. 56–70. ISBN 978-1-60918-995-2. Lay summary (28 April 2013). Lohman, David F.; Foley Nicpon, Megan (2012). "Chapter 12: Ability Testing & Talent Identification" (PDF). In Hunsaker, Scott. Identification: The Theory and Practice of Identifying Students for Gifted and Talented Education Services. Waco (TX): Prufrock. pp. 287–386. ISBN 978-1-931280-17-4. Lay summary (14 July 2013). McIntosh, David E.; Dixon, Felicia A.; Pierson, Eric E. (2012). "Chapter 25: Use of Intelligence Tests in the Identification of Giftedness". In Flanagan, Dawn P.; Harrison, Patti L. Contemporary Intellectual Assessment: Theories, tests, and issues (Third ed.). New York (NY): Guilford Press. pp. 623–642. ISBN 978-1-60918-995-2. Lay summary (28 April 2013). Reynolds, Cecil; Kamphaus, Randy (2003). "Reynolds Intellectual Assessment Scales™ (RIAS™)" (PowerPoint). Reynolds Intellectual Assessment Scales™ (RIAS™). PAR(Psychological Assessment Resources). Retrieved 11 July 2013. Reynolds, Cecil R.; Horton, Arthur M. (2012). "Chapter 3: Basic Psychometrics and Test Selection for an Independent Pediatric Forensic Neuropsychology Evaluation". In Sherman, Elizabeth M.; Brooks, Brian L. Pediatric Forensic Neuropsychology (Third ed.). Oxford: Oxford University Press. pp. 41–65. ISBN 978-0-19-973456-6. Lay summary (14 July 2013). Saklofske, Donald; Weiss, Lawrence; Beal, A. Lynne; Coalson, Diane (2003). "Chapter 1: The Wechsler Scales for Assessing Children's Intelligence: Past to Present". In Georgas, James; Weiss, Lawrence; van de Vijver, Fons; Saklofske, Donald. Culture and Children's Intelligence: Cross-Cultural Analysis of the WISC-III. San Diego (CA): Academic Press. pp. 3–21. ISBN 978-0-12-280055-9. Lay summary (26 May 2013). Sattler, Jerome M. (1988). 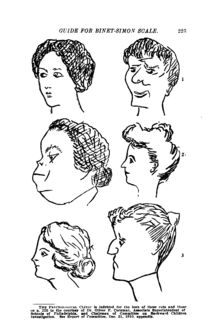 Assessment of Children (Third ed.). San Diego (CA): Jerome M. Sattler, Publisher. ISBN 0-9618209-0-X. Spearman, C. (April 1904). ""General Intelligence," Objectively Determined and Measured". American Journal of Psychology. 15 (2): 201–292. doi:10.2307/1412107. JSTOR http://www.jstor.org/stable/1412107. Archived from the original (PDF) on 15 March 2013. Retrieved 31 May 2013. Urbina, Susana (2011). "Chapter 2: Tests of Intelligence". In Sternberg, Robert J.; Kaufman, Scott Barry. The Cambridge Handbook of Intelligence. Cambridge: Cambridge University Press. pp. 20–38. ISBN 978-0-521-73911-5. Lay summary (9 February 2012). Wasserman, John D. (2012). "Chapter 1: A History of Intelligence Assessment". In Flanagan, Dawn P.; Harrison, Patti L. Contemporary Intellectual Assessment: Theories, tests, and issues (Third ed.). New York (NY): Guilford Press. pp. 3–55. ISBN 978-1-60918-995-2. Lay summary (28 April 2013).